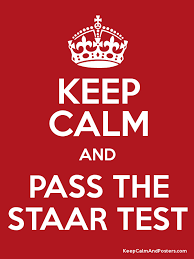 Good luck to all FHS students taking the English I STAAR EOC Test! Students should report to their assigned testing room at 8:00 AM; get a good night sleep; and eat a good breakfast. Free breakfast will be served in the cafeteria to all FHS students.